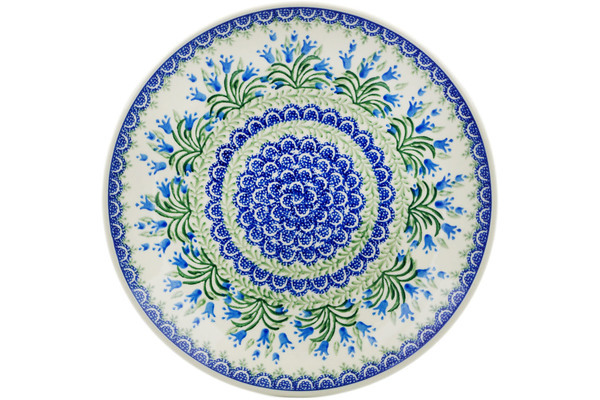 Dimensions: 10.5" x 10.5" x 1.4"
This Polish Pottery plate (item number H5475J) is made by Ceramika Artystyczna factory in Boleslawiec, Poland. It is 1.4" high and measures 10.5" by 10.5". 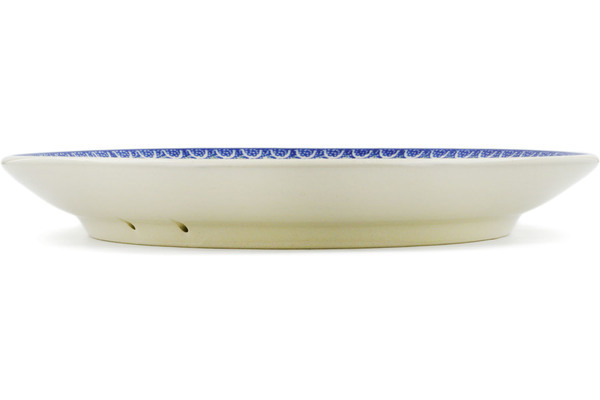 The weight of this plate is 2.19 lbs. The suggested retail price is $67.95 but you can save 32% by buying it today for $45.99. In addition if your total is over $99 you will get FREE SHIPPING. 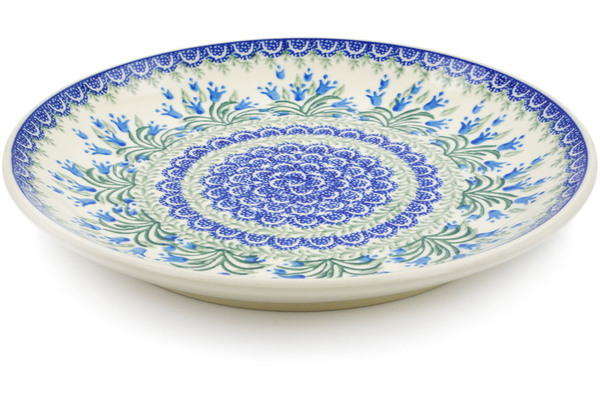 A: All of the plates are intended for everyday use, but they are certainly pretty enough to be put on display. A: Yes, all of our inventory is Quality 1. A: Yes, there are holes ( 2 ) on the back to hang it. All plates S223A have holes. A: In most cases diameter in the title is rounded up or down. Please check details for the exact measurements. In this case diameter is 10 1/2". 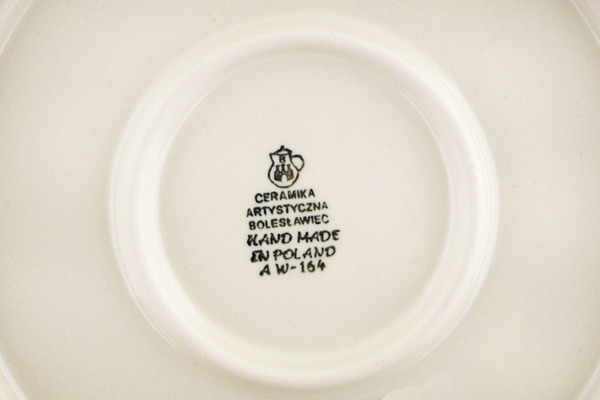 10 3/4" plates are listed here: http://www.artisanimports.com/Polish-Pottery-Boleslawiec-Stoneware-Plate-GU1014-Zaklady-Ceramiczne-S613A.html It's S613A shape.